As parents, we all know the sacrifice we make for our kids. Now it’s time to take care of yourself and make your time the most productive. 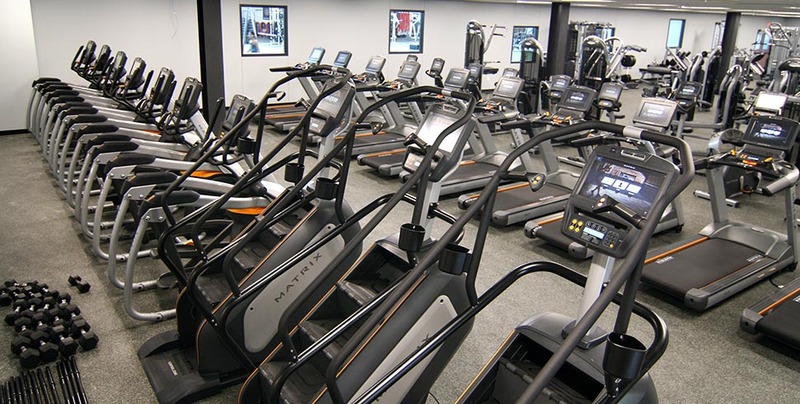 Our 9,000 square foot facility will allow members to run on the treadmill, lift weights, take a yoga class and so much more. 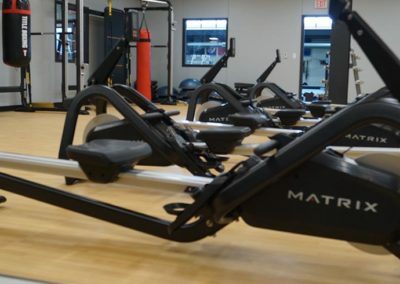 These classes are designed to build aerobic capacity, muscular strength, and endurance, improve range of motion and mobility, and create the optimal level of lean muscle tissue and body composition. 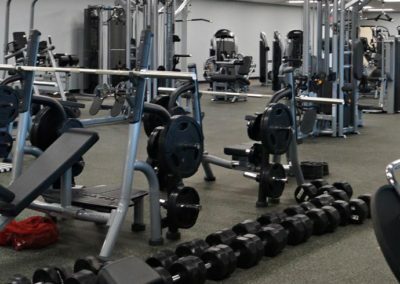 There’s no other facility in the area that allows the parent to stay on campus and get a complete workout while their child is improving their skills at practice. Check our calendar for class times! 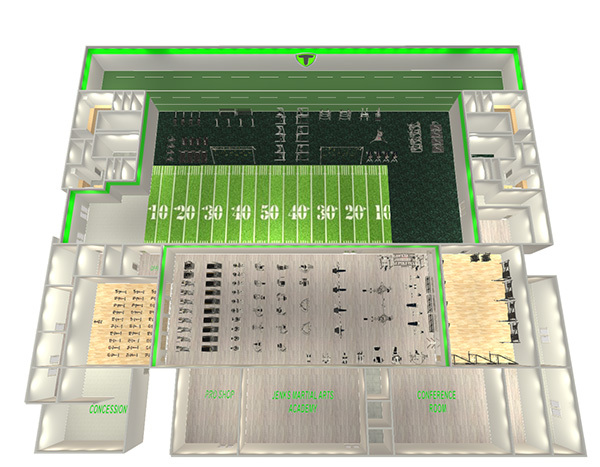 Watch a tour of the Titan Health Club and The Sports Armory with Coach Pace and Coach Derek. 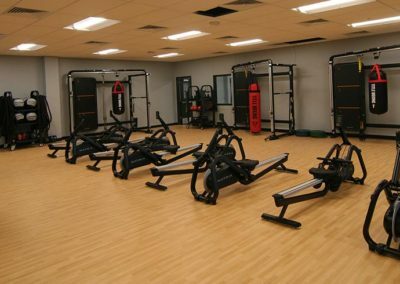 First Health Club visit is FREE! 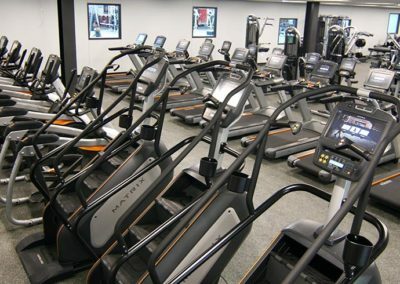 First Fitness Class is FREE! * Nuclear Family – a couple and their dependent children – up to 4 people 16 years and older. 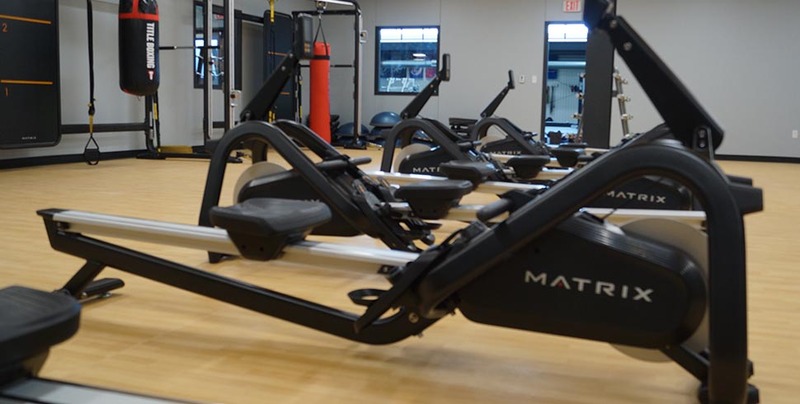 These classes are designed to build aerobic capacity, muscular strength and endurance, improve range of motion and mobility, and create the optimal level of lean muscle tissue and body composition. 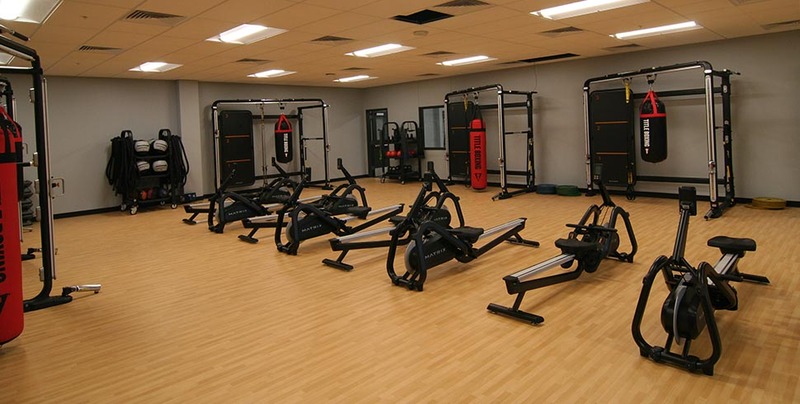 A group fitness class that uses an open architecture training system that combines the elements of performance balance, total body strength, muscular endurance, and athletic movement. 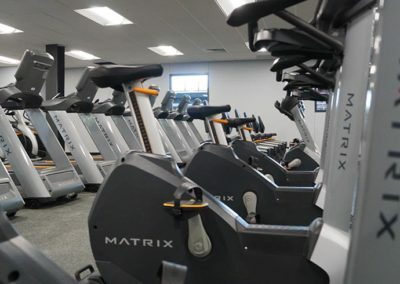 Come join the world of indoor cycling! Where no coordination is required and you are in control of your intensity. People of all levels of fitness can enjoy this workout whether you are training for a race or just looking to raise that heart rate by using the resistance to strengthen your ride. 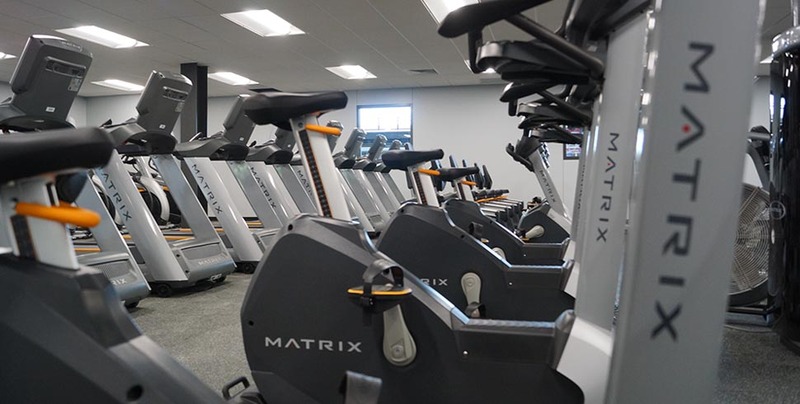 During this ride you will experience a life-like series of sprints, hills and intervals while your instructor helps motivate you with encouraging cues and entertaining music! See you in class!! Zumba brings people together for a fun, high energy, interval-style, calorie-burning dance fitness party. Once the Latin and World rhythms take over, you’ll see why Zumba® Fitness classes are often called exercise in disguise. For everybody and every body, Zumba combines all elements of fitness – cardio, muscle conditioning, balance and flexibility for a total workout. For all levels, including beginners. A group fitness class with a scientifically based appraoch to total body strength development. Learn the latest and most effective strength training strategies in a supervised, safe and fun environment. A core strength training Pilates class that will work your entire body with special attention to the core and glutes. Different props equipment are used, like balls & bands. Moves can be modified to progress or regress intensity, this class keeps you in the fat burning zone. Great moves, great music, and great results. SHiNE is a dance fitness format that is getting global recognition for its simple yet effective choreography that is sure to make you sweat with a smile on your face. The choreography is rooted in traditional jazz, ballet and hip hop and is designed for all dance abilites. This high energy, booty shakin’ class will give you a full body workout while dancing to the best pop and hip hop music out there! Elements of athletic drills and strength building create a class that challenges your muscular endurance and transforms your body from head to toe. 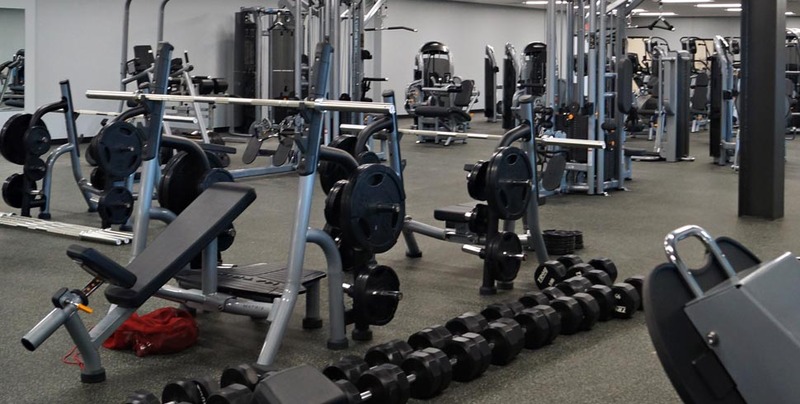 Check our Sports Armory fitness calendar for adult fitness class times! Join the Titan Health Club text alerts on RainedOut, allowing you to receive the latest information related to pop up classes, new equipment/announcements, class cancellations and other news!